Douglas H. Wise retired from CIA as a member of CIA’s Senior Intelligence Service on 30 August 2016 completing nearly three decades of service. His finished his service with CIA in a Joint Duty Assignment as the Deputy Director of the Defense intelligence Agency. Mr. Wise has substantial leadership and operational experience across a broad spectrum of Intelligence Community issues. Following 20 years of active duty in the Army where he served as an infantry and special operations officer (including his last five years detailed to CIA). He graduated from the United States Military Academy at West Point with a Bachelor of Science degree, and also graduated from the U.S. Army’s Command and General Staff College at Fort Leavenworth, Kansas. While in the military Mr. Wise also served in the Pentagon with the, then classified, National Reconnaissance Office as Director of Research and Development focused on developing future capabilities for overhead reconnaissance. During his CIA career, he had the privilege of leading several of the Agency’s most important components at Headquarters and in the field. In the course of multiple field assignments, Mr. Wise served four times as a Chief of Station, including a tour in a war-zone location that was then the largest field station in the Agency’s history. Mr. Wise was also the CIA’s Chief of Operational Training where he supervised a joint cadre of CIA and DoD instructors. Mr. 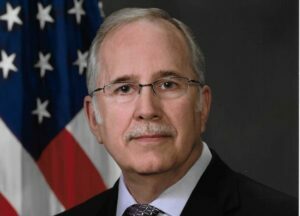 Wise has extensive leadership experience in integrating Intelligence Community components, from his service as a senior leader in two of CIA’s largest multi-agency centers. In addition to assignments in Europe, the Balkans, the Middle East, South Asia and East Asia, Mr. Wise has served multiple tours of duty in Afghanistan and Iraq. Prior to his DIA assignment, Mr. Wise led a major CIA covert action program. Mr. Wise earned Master’s degrees from the Dartmouth College School of Arts and Sciences and from the Thayer School of Engineering, Hanover, New Hampshire. He also completed a post-graduate fellowship at one of the National Laboratories and served on the teaching faulty of the United States Military Academy. He is married to Cynthia C. Wise a former FBI Special Agent and has three sons.